The Old Schoolhouse is a family apartment converted from the upper floor of the former village school house. 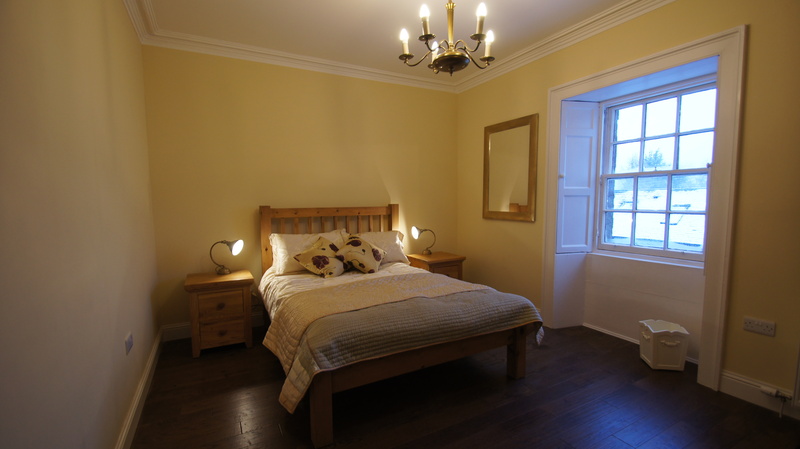 The front double bedroom has the original shutters. There is a second twin bedroom making this ideal for families. The Old Schoolhouse is in a central location in the popular town of Comrie for all local shops, cafes and restaurants. The accommodation comprises of a double and twin bedroom, dining room and separate kitchen, and a comfortable lounge with views over the confluence of the Rivers Earn and Ruchill and towards the hills. Note: Parking for unloading only beside the property. There is a free carpark in the village a short walk from The Old Schoolhouse. Parking is unavailable at The Old Schoolhouse. There is a free public carpark a short distance from the apartment. There is also on-street parking available in the village. The property is on the second floor of the building with access via steps to the side. There is a double room and a twin bedroom. The dining hall has a dining table seating six people. There is a separate kitchen with range cooker, fridge-freezer and dishwasher. The family bathroom is modern with bath and shower over the bath, raised counter wash basin and ceramic tiled floor. There are wooden floors throughout the rest of the property. The large lounge has windows on three sides with views out towards the rivers and hills. 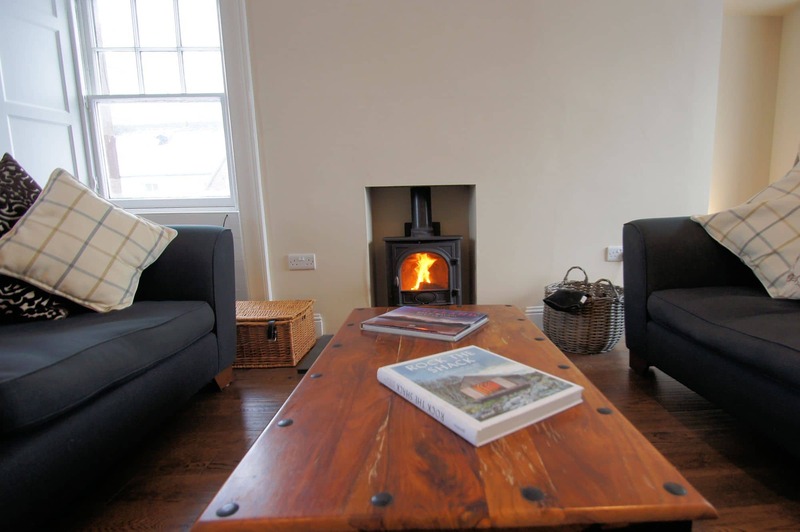 There is a log burning stove in the lounge. 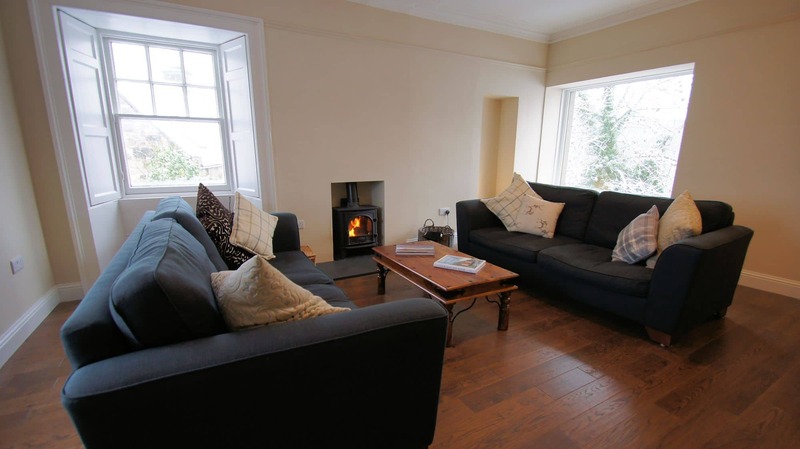 There is a spacious lounge with sofa seating, log-fire, television and DVD player. The large picture window in this room looks out towards the rivers and hills. WiFi is available. 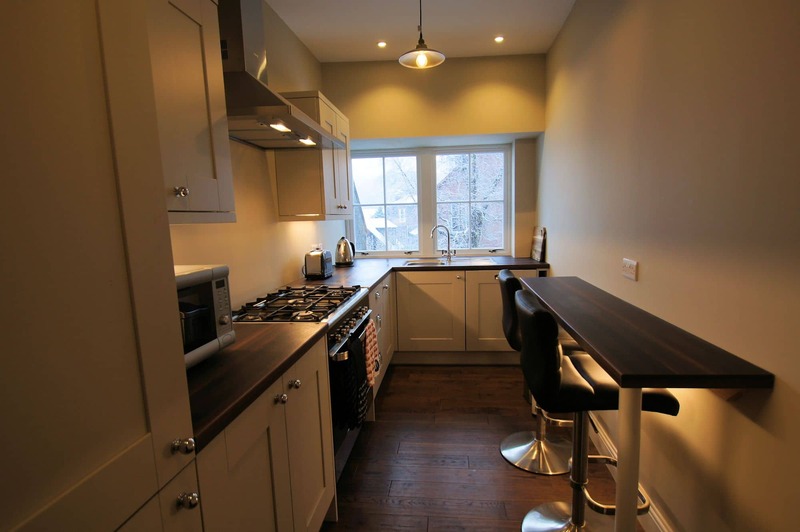 There is a fully fitted kitchen with oven, hob, microwave, kettle and toaster. 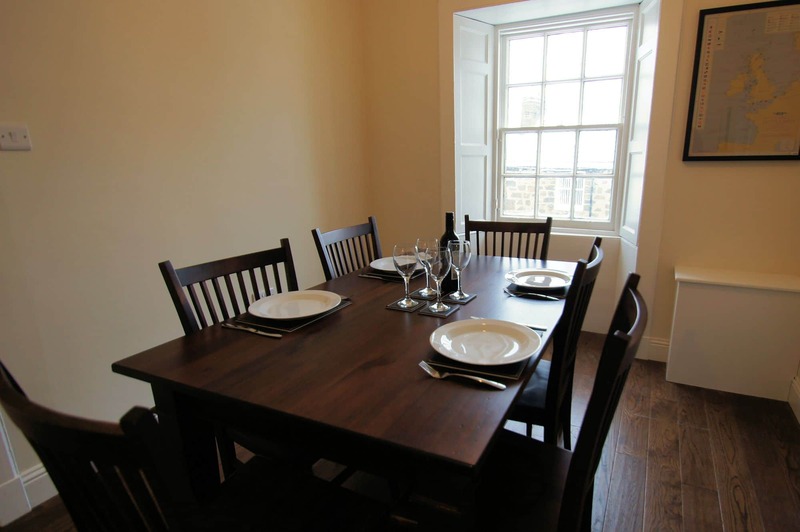 A separate dining room with a table and seating for six people. The village has a lot to offer guests, with a great selection of shops, cafes and restaurants a short walk from the door of The Old Schoolhouse. There is a golf course, fantastic walks starting from the village, and sights including the White Church and Earthquake House. Just outside the village guests can visit Cultybraggan Camp and Auchingarrich Wildlife Park. The Old Schoolhouse is a new property. Help us by leaving a review of your stay.